Since the 1920s, excessive pumping of groundwater at thousands of wells has caused land to subside, or sink, by as much as 8.5 meters (28 feet) in sections of California’s San Joaquin Valley. This subsidence is exacerbated during droughts, when farmers rely heavily on groundwater to sustain one of the most productive agricultural regions in the United States. Subsidence is a serious and challenging concern for California’s water managers, putting state and federal aqueducts, levees, bridges and roads at risk of damage. Already, long-term land subsidence has damaged thousands of public and private groundwater wells throughout the San Joaquin Valley. 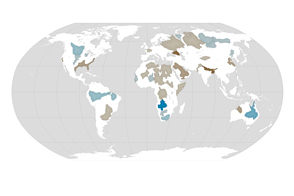 Furthermore, the subsidence can permanently reduce the storage capacity of underground aquifers, threatening future water supplies. It’s also expensive. While there is no comprehensive estimate of damage costs associated with subsidence, state and federal water agencies have spent an estimated $100 million on related repairs since the 1960s. To determine the extent to which additional groundwater pumping associated with California’s recent historic drought has affected land subsidence in the Central Valley, California’s Department of Water Resources (DWR) commissioned NASA’s Jet Propulsion Laboratory to use its expertise in collecting and analyzing airborne and satellite radar data. An initial report from JPL in August 2015 analyzed radar data from several different sensors collected between 2006 and early 2015. Due to the continuing drought, DWR subsequently commissioned JPL to collect and analyze new radar images from 2015 and 2016 to update DWR. Several trouble spots that were identified in 2015 have continued to subside at rates as high as 0.6 meters (2 feet) per year. Significant subsidence was measured in subsidence bowls near the towns of Chowchilla, south of Merced; and Corcoran, north of Bakersfield. These bowls cover hundreds of square kilometers and continued to grow wider and deeper between May 2015 and September 2016. 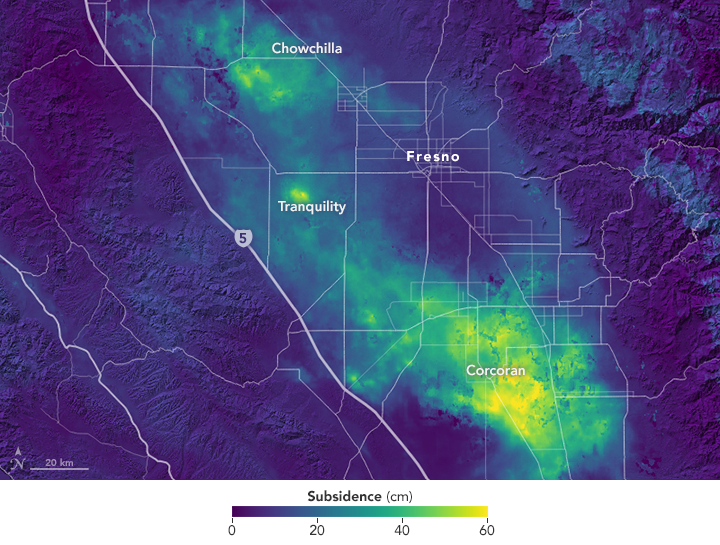 Subsidence also intensified near Tranquility in Fresno County, where the land surface has settled up to 51 centimeters (20 inches) in an area that extends 11 kilometers (7 miles). 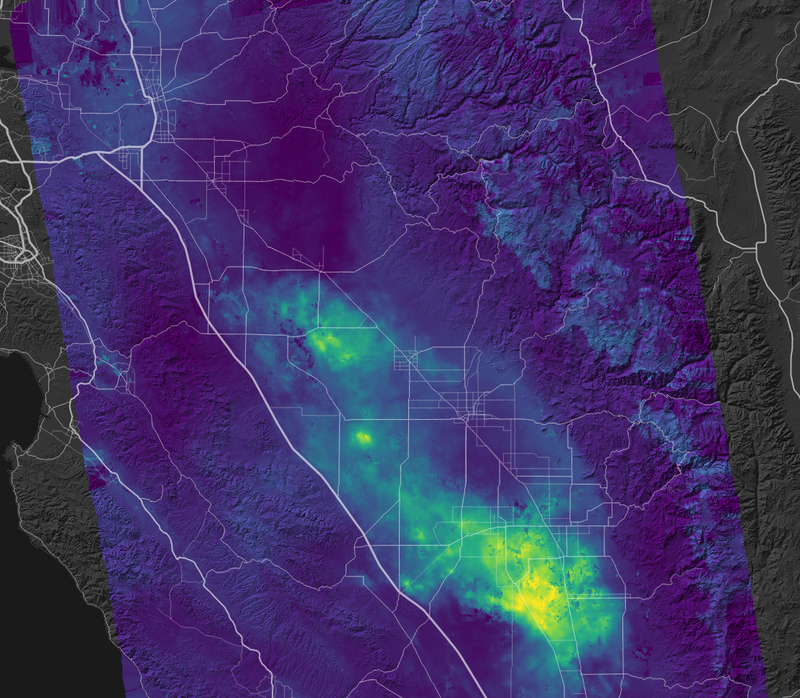 The map above shows the total subsidence in part of the San Joaquin Valley between May 2015 and September 2016 as observed by the European Space Agency’s Sentinel-1A satellite and analyzed by scientists at JPL. The areas of most extensive subsidence appear in shades of yellow and bright green. JPL scientists plotted the history of subsidence of several sites in the mapped areas and found that for some areas in the San Joaquin Valley, subsidence slowed during the winter of 2015-16 when rainfall matched crop water needs. “While we can see the effect that rain has on subsidence, we know that we’ve run a groundwater deficit for some time, so it will take a long time to refill those reservoirs,” said JPL report co-author Tom Farr. 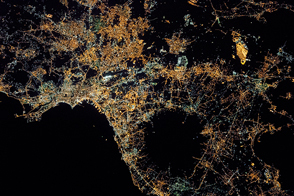 The researchers compared multiple satellite and airborne interferometric synthetic aperture radar (InSAR) images of Earth’s surface to show how subsidence varies over space and time. 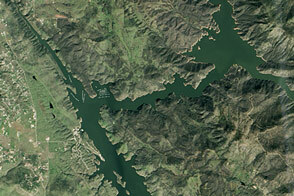 InSAR is routinely used to produce maps of surface deformation with approximately centimeter-level accuracy. 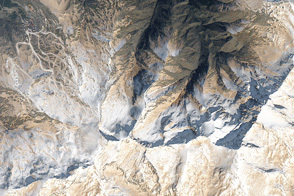 The 2015 and 2017 reports included data from Sentinel-1A, NASA’s Uninhabited Aerial Vehicle Synthetic Aperture Radar (UAVSAR), Japan’s PALSAR, and Canada’s Radarsat-2. To read the new report, which includes data about other portions of California, click here. NASA Earth Observatory map by Joshua Stevens, using modified Copernicus Sentinel SAR data (2016) courtesy of Tom Farr and Cathleen Jones, NASA Jet Propulsion Laboratory. Caption by Alan Buis (Jet Propulsion Laboratory) and Ted Thomas, California Department of Water Resources; edited by Mike Carlowicz. Groundwater pumping in California has been causing land subsidence.